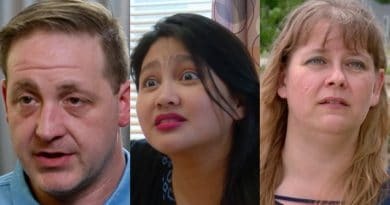 90 Day Fiance star Eric Rosenbrook, Leida Margaretha, and daughter Tasha Rosenbrook are once again at the center of real-life family drama between. Recently, Eric and Leida filed a police report against Tasha. She and her mom returned the favor and went to the cops about them. The fallout could affect his custody of his youngest daughter Jennica Rosenbrook. It looks like the Rosenbrook family tensions continue to escalate. On December 5, 2018, Baraboo police met with Eric Rosenbrook and Leida Margaretha. They called the police to file an incident report of harassment against Eric’s daughter Tasha. The Marine informed the officer that he, Leida, and Tasha are all cast members on TLC’s 90 Day Fiance. He went on to say “that during the filming of the show there was a falling out between him and Tasha”. Eric Rosenbrook told the responding officer that his daughter “was posting things on her social media accounts that are damaging to Leida’s character”. He added, ” I believe this is defamation of character”. The 90 Day Fiance cast members then showed the officer some of the social media posts. He stated that most of them were about Leida. However, only one post actually mentioned Leida and only by her first name. 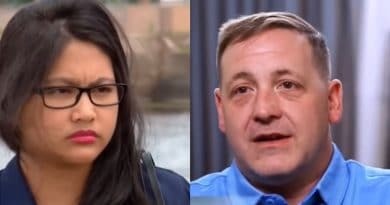 90 Day Fiance fans recall that Instagram deleted Leida’s account over reports of alleged harassment and bullying. The police report also notes this. The officer was advised by the couple that IG later gave back the account. Leida has in the past posted in response to Tasha’s postings, the duo admitted. According to the police report, the responding officer believes that the 90 Day Fiance couple is just as guilty as Tasha Rosenbrook. The officer also noted Tasha’s right to freedom of speech. Eric and Leida made a second report relate to death threats they say they were sent on social media. He told police he didn’t want a formal investigation but wanted the Baraboo PD to know since the threatening messages from 90 Day Fiance trolls revealed where they live. Eric said he was worried something might happen to Leida and her son Allessandro when she takes him back and forth to school. He went on to request “extra patrols when Leida is walking her child back home”. 90 Day Fiance daughter Tasha Rosenbrook ran to the local cops with her mother, Tania Roesler. They were slapping back after Eric and Leida reported Tasha. She told the police that her father and Leida Margaretha post “degrading and defaming” messages about her on Twitter, Facebook, and Instagram. Tasha told the officer that “this has been bothering her mentally and it sheds a negative image to her “fans”. She asked the police to make Leida and Eris Rosenbrook “quit posting negative stuff about her”. The officer told Tasha the same thing he told Leida and Eric. He advised her “that there is an entitlement of freedom of speech”. He also said she is “just as guilty of possible defamation as Eric and Leida are”. 90 Day Fiance Eric Rosenbrook might have a custody battle brewing with ex-wife Tania Roseler. She visited the police on the custody issue. Tania admitted they don’t have a formal custody arrangement, just a verbal understanding. She asked the officer questions about her youngest daughter Jennica’s custody and visitation with Eric. Tania told the cops, “her other child does not want to go stay with Eric anymore because Leida belittles the child and makes fun of her”. 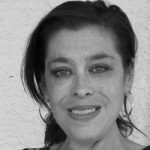 Local law enforcement advised Tania that since there are no court custody documents, she does not have to let Eric take Jennica for visits. They also said he “would have to take her to court for visitation at this point”. The Rosenrbook family drama gets messier by the day! 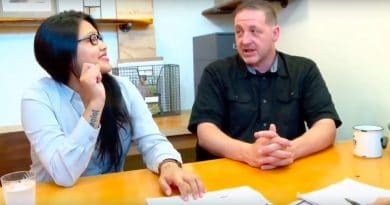 Watch new episodes of 90 Day Fiance on TLC Sunday nights as Leida Margaretha, Eric Rosenbrook and Tasha Rosenbrook continue to do battle. And come back to Soap Dirt for all the latest 90 Day Fiance spoilers and news.